Ahead of their eagerly anticipated debut album, Swedish House Mafia duo Axwell Λ Ingrosso have released their first official single, Something New… and boy, do we love it. Fresh, catchy and infectious, Something New looks set to be the dance hit of 2015 and signifies a rebirth for Axwell Λ Ingrosso, who sold more than 10 million records worldwide with their former band Swedish House Mafia. Released on 24 February, the new track boasts all the makings of a future hit featuring in the brand new, star-studded Beats by Dr. Dre #soloselfie TV ad campaign. The song itself is exactly what you expect it to be with its infectious lyrics, uplifting melody and catchy Avicii-esque guitar hook. 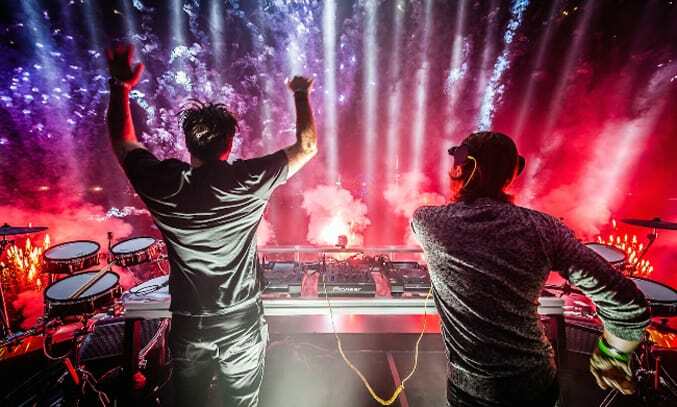 The duo, along with Steve Angello in Swedish House Mafia, practically invented the mainstream, progressive house genre and look set to continue their success at the top with their first official single. Something New is the second track to be premiered from the upcoming Axwell Λ Ingrosso album, the first being Can’t Hold Us Down, which made its debut in November on BBC Radio 1 on both Zane Lowe’s and Pete Tong’s shows. The pair are set to release their debut album later this year through Virgin EMI in the UK. We think it’s set to be the dance hit of the year… but do you agree? Something New by Axwell Λ Ingrosso is released on 24 February through Virgin EMI.